Australian Hard Rockers WHITE WIDDOW will return with their fourth album “Silhouette” on AOR Heaven on November 25, just right in time for their performance at H.e.a.t. Festival in Ludwigsburg on the following weekend!New on the AOR Heaven label is the Irish Classic Rock/Blues Rock band BONEYARD DOG with their debut album “Bluesbound Train”. This group consists of German/Italian Rock singer Rob Mancini (Hotwire, Crush, Rob Mancini Band & Scar For Life), guitarist Davy Kerrigan, former Rainbow keyboard player Tony Carey and American drummer Ron Wikso (David Lee Roth, Foreigner any many others). Guest performers include Marc Lynn (Gotthard) on bass and John Pratt from UK rockers Firefly on backing vocals. Formed in Melbourne, Australia in 2008 and centered around the Millis brothers Jules (Vocals) & Xavier (Keyboards) with Guitar virtuoso Enzo Almanzi. Raised on a healthy diet of 80’s Arena Rock and influenced by artists such as Survivor, Dokken, Night Ranger, White Sister & Giuffria.In 2010 White Widdow stormed onto the Melodic Rock scene across the globe with the release of their self titled debut album, filled with swirling keyboards, blistering guitar playing and big choruses. The release of the debut was met by the press with rave reviews making it into Classic Rock Magazine’s top 10 AOR albums for 2010. Hot on the heels of their debut, White Widdow quickly returned with their follow up release “Serenade” in September 2011. “Serenade” was heaped with praise by the press as one of the best albums in the genre of 2011, gaining 9/10 in both Classic Rock and Powerplay magazines and receiving a 94% on the coveted website melodicrock.com. In support of “Serenade”, White Widdow hit the road playing festivals and headlining club shows throughout Europe which saw them tour through Switzerland, Germany, Sweden, Italy, Greece and England. Along the way performing at HEAT Festival (Germany) and Firefest (UK). This was followed in 2012 with a full tour of the UK as support band to English melodic rock band TEN. After the unfortunate death of drummer George Kristy in 2013 and the departure of original bass player Trent Wilson, the Millis brothers and Almanzi regrouped with a rejuvenated new line up, featuring Ben Webster on Bass and Noel Tenny on Drums. The new line up released their third album “Crossfire” in late 2014, the album was met with much critical and fan acclaim receiving 8/10 in Classic Rock magazine, 9/10 in Powerplay magazine, 9/10 in Sweden Rock Magazine and 93% from melodicrock.com. In support of “Crossfire”, White Widdow returned to tour the UK and Greece, as well as performing in Spain for the first time in 2015. In early 2016 the Millis brothers began writing for what would become White Widdow’s fourth album “Silhouette”, setting out to capture the mid to late 80’s AOR sound, even more so than on previous White Widdow albums. The Millis brothers also teaming up with Almanzi, Tenny and Webster for some slightly more hard edged songs. The resulting album “Silhouete”, proving to be the best representation of the White Widdow sound so far, pure 80’s styled AOR, straight from the heart. Boneyard Dog is an Irish Classic/Blues Rock Band founded in 2015 and the brainchild of German/Italian Rock Singer Rob Mancini (Hotwire, Crush, Rob Mancini Band & Scar For Life) and Irish Blues guitar hero Davy Kerrigan. Added to the line-up in early 2016 was American rock drummer Ron Wikso, an established artist known for his recording and touring work with some of the best musicians and known entertainers in the world including Cher, Richie Sambora (Bon Jovi), Foreigner, David Lee Roth (Van Halen), The Storm, Gregg Rolie (Santana/Journey), Eddie Money, CCR (Creedence Clearwater Revisited), Player (featuring Ronn Moss & Peter Beckett), Randy Meisner (the Eagles), Denny Laine (Paul McCartney & Wings/The Moody Blues), Dave Amato (REO Speedwagon/Ted Nugent/Jimmy Barnes), Michael Monarch (Steppenwolf), Dave Meniketti (Y&T), George Burns, Sammy Davis Jr., Peggy Lee and many others.Half way through the writing of the debut album, Mancini contacted Tony Carey, former keyboarder of Richie Blackmore’s Rainbow. Carey played on the classic albums ‘Rising’ and ‘On Stage’, in the Rainbow line-up including Ronnie James Dio, Cozy Powell, Jimmy Bain and Ritchie Blackmore, touring the world for 2 years. He has recorded and released over 40 records, and produced records by John Mayall, Chris Norman, David Knopfler, Joe Cocker, and Peter Maffay (Germany’s top-selling rock artist). He has done several film scores and published well over 1,000 songs. Initially planned as a guest keyboarder on one of the tracks, Carey was impressed by the material and offered to fill the slot as keyboarder on the entire album. Staying true to their roots in rock’n’roll music, a style all members are involved in for over a decade, the band also implemented their love and passion for blues into the project. With a lot of experience, compassion and inspiration the foundations are set for a new Classic Rock album that will find many new friends and listeners.Mancini’s and Kerrigan’s song writing are combining harmonies, killer riffs and solos as well as creative lyrics to create an outstanding work of art. Boneyard Dog recorded their debut album ‘Bluesbound Train’ between March and September 2016 at Total Control Studio Austin/Texas and GMG Studio ONE in Donegal/Ireland. The album was produced, mixed and mastered by Rob Mancini. In August 2016 the band subsequently signed to German label AOR Heaven. Outside the music business, the band is involved in philanthropy, having created the Boneyard Foundation, a foundation benefitting victims of motorcycle accidents or their immediate families. 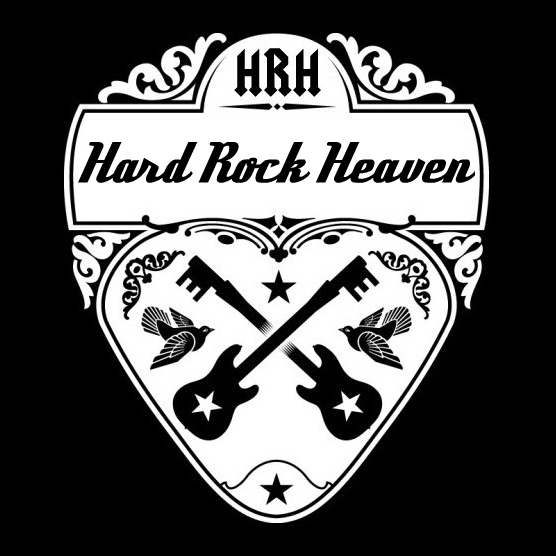 The bands proceeding from the track ‘Lonely Road’ featuring Marc Lynn (Gotthard) and the accompanying video will go towards the Boneyard Foundation. Tigertailz release ‘All The Girls In The World’, the fourth video from their latest album BLAST. Jay says: ‘We had such an amazing show at this years Bang Your Head festival in Germany we felt it was only right to give the amazing fans who attended that show something to remember it by. You can view ‘All The Girls’ here. Australia, 10/10/2016 – 396 artist playing in 92 different bands will be hitting the stages all across Australia. Metal United Down Under aka MUDU is returning on October 15 and there will be metal in 12 cities in the same night under the same banner. All these shows present the talent Australia has to offer. “MUDU is a unique event in the international heavy music community – hundreds of bands across Australia coming together in regional centres and major cities all for one night of intensity – incredible! The organizers are to be commended on putting together such an awesome event and making Australia the loudest place on the planet on Oct 15! !” – Gregory Shaw, Truth Corroded, Truth Inc & Extreme Management Group, Inc.
Once again, the promoters in all involved cities have done an amazing job getting local and interstate bands on their line-ups. More and more bands include their tour in the MUDU shows, like Truth Corroded playing the Perth show as part of their “Worship The Warlords Slain Australia and Asia Tour 2016”. Decryptus is ending “The Necrotic Design East Coast Tour 2016” at the Sydney show and Wounded Pig’s second date on their massive 29 dates tour “A Permanent Mark Tour 2016” will be the Adelaide show. Frankenbok, Headbore,Espionage, Deadspace, The Black Swamp, Flaming Wrekage and The Weight of Silence are all including MUDU in their tour. To celebrate the 30th Anniversary of Living Without You…. Original Tigertailz vocalist Steevi Jaimz has teamed up with friend and fellow Crash KO band mate Phil Vokins – Formerly of (ex Black Sabbath drummer Bill Ward’s Max Havoc, Persian Risk, UK AOR’sters Strangeways and Tyrant ).And together have recorded a special, one-off 30th Anniversary version of his classic Tigertailz song Living Without You. This version of the song, featuring Steevi, Phil, Chris Laney, Anders Ringman and Dave Draper. Was originally recorded at Platform Studios, Sweden. At the recording of Steevi’s My Private Hell album sessions in 2007. And was recently finished with producer Dave Draper at Tower Studios UK. “It’s been re-recorded and re-released many times. But this is the first time I have done it since writing it. And it has never sounded anything like this. We’ve stripped the song back to basics and turned it around. And what we have, is the song at it’s melodic best. How it would have sounded without screaming guitars. And how I imagined it to sound when I originally wrote it. And because of who I wrote it about, it’s very sentimental and personal to me. Basically, it’s been given the grown up 2016 treatment”. It will be made available to download on the usual sites. Spotify, itunes etc… The pair will also record an album as a special project through AOR Blvd records next year.